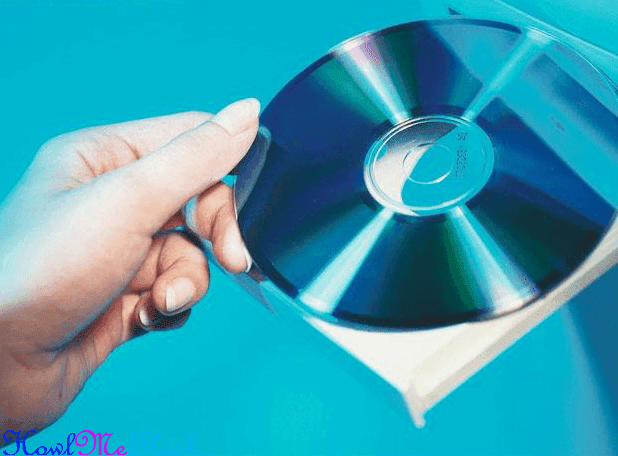 If you wish to view your home movies on your television using a DVD player or Blu ray, you need to first burn those movies onto a DVD. Whether you are using a Windows based personal computer or a Macintosh computer, there are programs available to help you bring your home movies to your flat screen. Both systems require the use of 2 programs. The first program will actually make the movie, including any video edits such as splices and adding titles, credits and fades. You will then need to transfer that completed movie to a DVD burning program that will allow you to burn the movie onto a DVD. 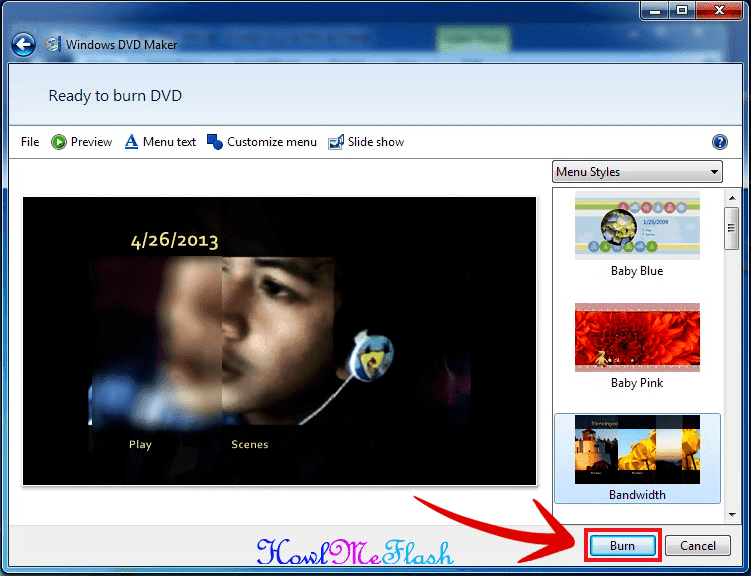 The steps below indicate how to make the transfer from the movie making software to a DVD burning program so that you can burn your movie. 1. Place a blank disc in your burner. You can use a DVD R or DVD RW disc, so long as your DVD burner is compatible with both. 2. 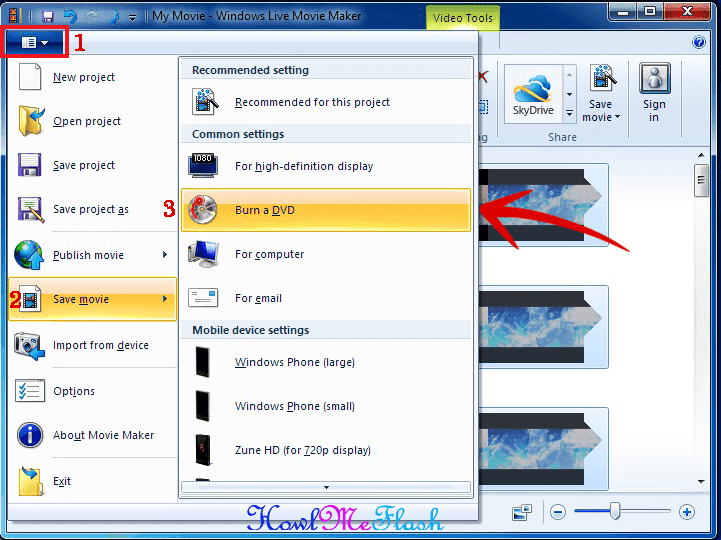 Load and Save your movie first in Windows Movie Maker before you can burn them. From the file menu, select "Save Movie." Select "Burn a DVD" as your medium. A saving window will appear. Just follow the steps and Windows will automatically launch "Burn" window. 3. Burn your DVD when prompted. After Windows DVD Maker opens, there will be a button that reads "Burn." Click on this button to burn a movie you made in Windows Movie Maker. 1. Select iDVD from the Share menu. Do so after your movie is completed in iMovie and ready to be burned to a DVD, as this will launch Apple's iDVD program. Click "Share" to complete the transfer. 2. Choose a DVD theme. Select from 1 of the available themes by clicking first on the theme button in iDVD and then on the theme you wish to utilize. 3. Click on the Project menu. Select "Autofill Drop Zones." This will ensure that your movie can be easily played within the DVD theme you selected. 4. Insert a blank DVD R or DVD RW disc into your Macintosh computer, and click "Burn" in iDVD to burn a movie. A DVD R disc means you can record to that disc, but the recording is permanent. A DVD RW disc allows you to record, erase and re-record on the same disc. In iMovie, you may have to first render your movie before transferring it to iDVD. Some themes may take up more space on a DVD than others. If your movie is long, or large in size, you may find more success in burning a DVD if you choose a simpler theme. Burning home movies is legal; however, there may be legal restrictions on burning commercially released movies and films.